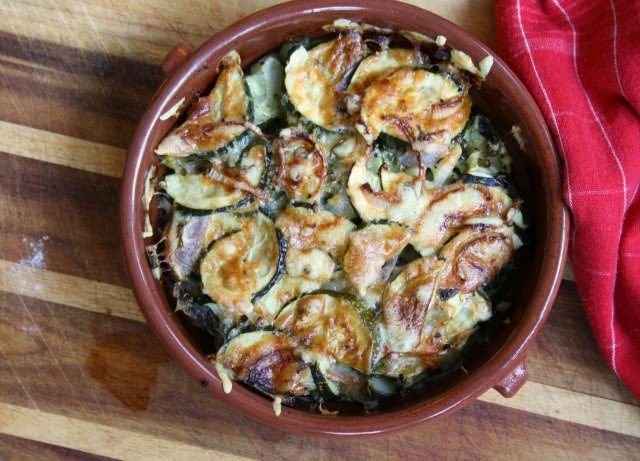 Baked zucchini takes on an almost floral flavour when its baked for an hour with onion and garlic. When I was in high school my mom used to make this for me. It was a great veggie side for fall and something that I could easily make on my own if I had to work the evening shift at our local inn. Through high school I worked at Shadow Lawn Inn, a lovely Victorian home that also happened to be our next door neighbour. It was an ideal job. The owners, Willie and Jean Ward, were the best bosses a newbie like me could ever hope to have plus I could run out the door five minutes before my shift. 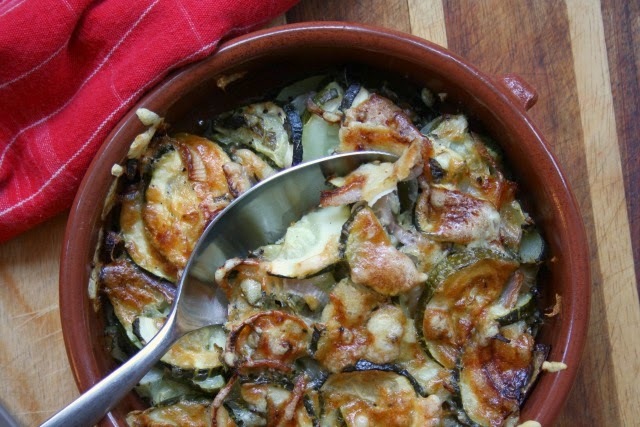 This baked zucchini recipe is my favourite way to eat zucchini. 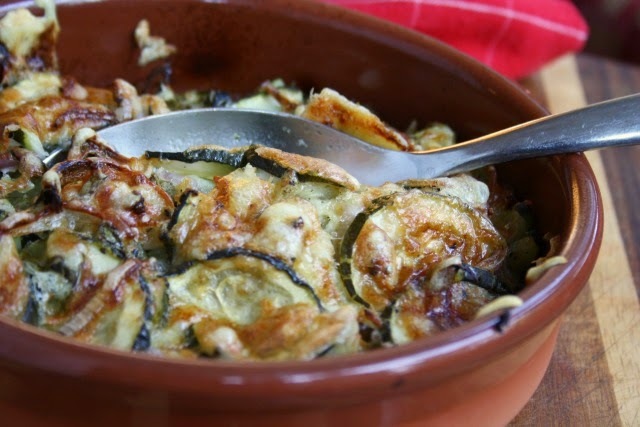 When it's baked for a long time with garlic and onions the zucchini takes on a bit of a floral flavour and the texture, as it breaks down, is almost creamy. Topped with cheese that gets brown and bubbly, it's as lovely as it is delicious. And it's dead simple to make. Toss all ingredients except cheese in a bowl until well combined. Spill into a lightly oiled baking dish. Bake at 375 F for 45 minutes or until it bubbly and cheese is nicely browned. You know, my mom always used oregano but I have been using fresh basil and lemon thyme. You're right, the possibilities are endless.